I have had two skinsuits from Impsport (for custom cycling team). The first was a standard skin suit, and I was a bit disappointed. The main thing is that it wasn’t particular skin tight or stretchy. Some of the material was flapping in wind which defeats main purpose of a skin suit. I only wore this for one season and then moved on. Impsport also do an advanced version of the skin suit. They call this the bodyfit skin suit. It is almost double the price at £120. However, as the name suggests it is better quality and more aerodynamic. Also it feels more like a skin suit and seems to have more of that lycra look and feel. 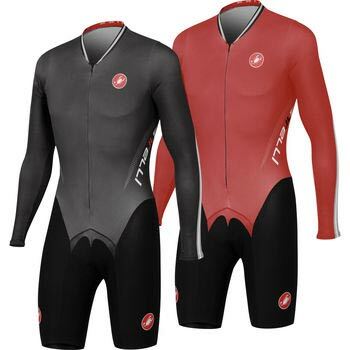 If you are serious about getting best skin suit and your club orders from Impsport I would definitely recommend paying £120 rather than going for cheaper option of £55. However, it still didn’t fit perfectly. My body shape is very long and thin and the skin suit is very tight in length meaning that it is actually less aerodynamic (and comfortable) than it could be. 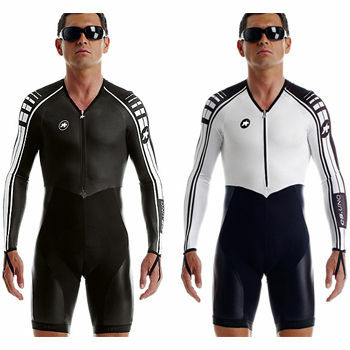 At £209, the Assos is not cheap, but, it is excellent fit and really top of the range skinsuit. I have tried one on and it is a good fit. It fits much better when you are actually in your time trial position, so a lot of thought has gone into the anatomical cut. There are little if any dimples of material which helps to improve aerodynamics. Fits bigger riders well too. Padding is good and again designed for time trials where you are often riding on the front of the saddle, which can get difficult over time. I’m a big fan of Assos shorts, the S5_UNO insert for comfort in the saddle is a big boon for long distance time trials. It has a small zipped pocked on the back, this is useful for long distance time trialling, but does slightly diminish aero performance. But, overall, I would say this is more helpful than unhelpful for amateur cyclist. The good thing about the Assos is that the styling is plain and simple. You can use it in Cycling Time trials (UK) because it doesn’t have sponsors on. A really tight, snug skinsuit. It’s hard to find anything tighter. This has become one of the most popular skinsuits on the domestic TT scene. I would get one, but it probably wouldn’t be thin enough in the arms. A local tester was so impressed with his British Cycling Skin suit that he got a felt tip pen and crossed out the commercial name (Sky) so that he could ride it in time trials (you aren’t allowed a commercial sponsor unless it is your team). He reckoned the fit was so good it saved a couple of watts. However, this was compared to a mass ordered team kit (from Impsport I think) and not compared to the Assos. The revolutionary skinsuits are at the cutting edge of cycling technology and have been credited with helping road riders to crucial wins (e.g. Nicole Cooke in 2008 Olympics (CW) British Cycling Skin suits are a little hard to track down, you might find one on ebay or offered on forums, I couldn’t find a supplier. This is a custom skinsuit made by Bio Racer. 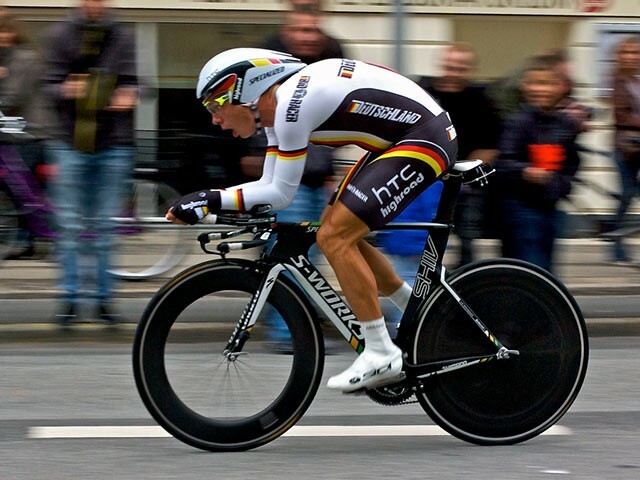 If you pay £750 you can get a skinsuit from same process and materials as the one used by Tony Martin. £750 sounds a lot of money for a skinsuit – but remember it will quite possibly have more benefit than your £7,000 bike. I’m looking into this. I believe they will be brining out a mass market skinsuit for the average rider too. The 2015 model will be available in March and will be £350. It is used by Matt Bottrill and many top testers. Extensively tested in the Drag 2 Zero wind tunnel. No experience, though it looks pretty tight on Matt Bottrill. If you want to go faster in a time trial get a good skinsuit. 90% of non-resistance is you – your body, not your bike. Even small flaps can have big drag. Many testers seem to do very well with something like the Castelli Body Paint or Drag 2 Zero. 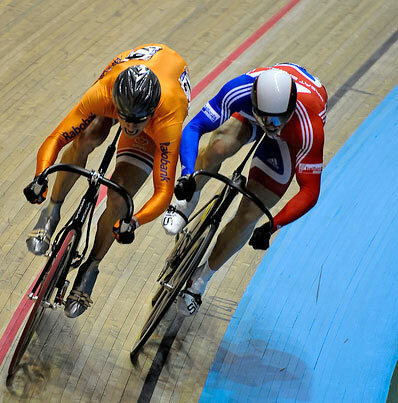 On a personal point, there’s no point buying a mass produced skinsuit because it won’t fit very well. That means for customisation either buying something expensive or getting a post purchase alteration. Hi great article. Any comments on whether covering legs and arms (long sleeves and leg warmers or long legs) helps. My impression is that both help but rarely do I find cyclists doing both.